A borderline taboo subject, but comical nonetheless! Enjoy some knowledge with your morning cup of joe! ^^ Dundore and Heister, on Penn Ave in Wyomissing, has some great treats for your gut bacteria! Now, I’m not saying to go eating anything unsavory, but this is some interesting research! What will the future bring? Here’s an interesting article on why your calories may be inaccurate or misleading if you’re using My Fitness Pal, which I know many of you are! Hint: it really doesn’t matter. If you’re hitting your macro goals you’re doing just fine. Click this link to read up on why your jeans really fit better when you’re eating low carb, and gain a few takeaways on whether it means you’re truly doing what’s best for your body. Paul Nobles provides a well-rounded, knowledgeable perspective on the low-carb idea. If life is anything, it’s a constantly varying experiment. Try something new and see what works for you. Want Abs? You Gotta Eat. A little food for thought this weekend. Carry on! If there is one thing that I’m learning with Eat To Perform is that there are two camps that really stand out. “The Clean Eaters” and the folks that enjoy most of the foods above, sometimes responsibly and sometimes not. The simple fact of the matter is this, both could benefit from knowing the approach of the other and why it does or does not work. It’s this polarizing point of view on food that leaves people feeling judged and frankly doesn’t lead to whole lot of enlightenment. If you are a health professional (trainer, dietitian or even a doctor) if you aren’t teaching your folks some level of flexibility, are you really helping them? Let me put that differently: if you tell someone their life will be better if they do the Tour De France every 4 months, that’s not all that sustainable is it? The reason I am using the Tour De France as an example is because it represents the type of extreme you are prescribing and it’s leaving everyone obese. Do you honestly think these folks have never dieted or tried reducing their intake of processed foods? Admit it, you haven’t spent a whole lot of time doing the research and what you are offering as the solution is ACTUALLY the problem for a lot of people. Painting your clients in a corner like that isn’t helping and if you are fit you know that you don’t eat like that and if you do eat like that you’re missing out on a lot of genetic potential. Not the courageous type this time, but the literal type. Your guts contain loads of information that make you who you are, maybe more so than many other organ systems! 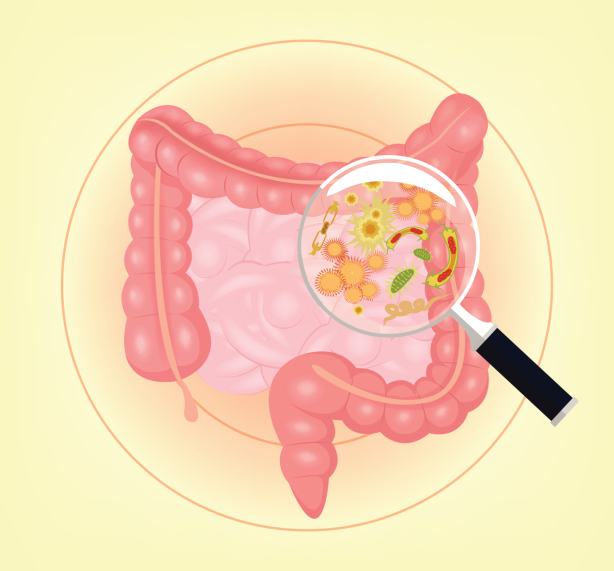 Some signs your digestive microbiome may be out of whack include intestinal issues, mental issues (depression, brain fog), stress, weight issues, and skin conditions. Surprisingly, you can change your own microbiome for the better if you work at it. A few tips include: getting dirty and sweaty, incorporating more fermented foods and good veggies into your diet and reducing sugar and meat / animal products. Check the links to learn more! A couple more interesting articles here and here. Enjoy! Friday Food for Thought – Are you really human? “Refined sugar is lethal when ingested by humans because it provides only that which nutritionists describe as “empty” or “naked” calories. It lacks the natural minerals which are present in the sugar beet or cane. “Tom Sanders, professor emeritus of nutrition and dietetics at King’s College London, said the study needed to be viewed “with some skepticism” because it was uncontrolled. It did not compare the children with a similar group who continued to eat a high-sugar diet. The comparison instead was made with their weight and health before the study while on their usual diet. “But it is well known that obese children underestimate and under-report food intake, particularly of soft drinks and snack foods,” said Sanders. Bottom line, it’s probably not great. Do your research, use your brain, and decide for yourself. Most Americans are getting way too much sugar. It shows up in hidden foods you might not realize: pasta sauce, yogurt, salad dressing, “healthy” breakfast cereal… And sugar is a crazy addictive substance – for a good reason – it provides quick energy and fat storage that our ancient ancestors could use to get away from danger and/or hold on to extra calories in case food became scarce. Why not create an innate drive to find and consume it? The problem with modern society is that sugar is now everywhere and food is hardly every truly scarce. So how do we adapt to modern times? Eat like your grandparents would have. No constant access to sweets, treats, snacks. 5 Week Detox with Bldg 7! Real Food. Real Learning. Real Support. Week 5:How to move forward and celebrate your success! Stark Juice is raw cold pressed juice sourced from locally grown fruits and vegetables operating out of an old feed mill in Kempton, Pennsylvania. All juices are cold pressed and hand crafted in our certified, commercial kitchen to get the maximum nutritional benefit. Cold pressing preserves the plant’s live enzymes that would otherwise be destroyed by the heat created in other types of processing. We do not use any pasteurization or heat of any kind so all nutrients are left untouched. Picking the vegetables the day before pressing also ensures optimal vitamin and enzyme content along with incredible flavor and taste. Although our fruits and vegetable are not certified organic, they are carefully sourced from homegrown, local farms. Want these products available for purchase all the time? Let us know!